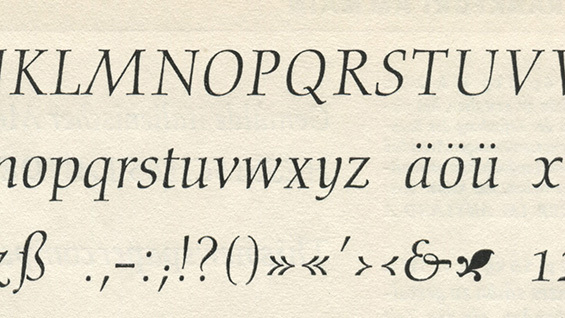 Gudrun Zapf has been cited as the first woman who made a career as a type designer. Her Diotima type as been called the greatest type of the twentieth century. Yet, despite a couple of monographs, Gudrun Zapf’s work as a calligrapher, type designer, and bookbinder is not very well known. No doubt this is partly due to her being overshadowed by her tremendously talented husband, Hermann Zapf, who also worked in the fields of calligraphy and type design; and partly it is because of Gudrun's modest and self-effacing nature. In this lecture, we will dive deeper into the work of this exceptional artist, who has made a major contribution to the worlds of alphabet design and book art. Jerry Kelly is a calligrapher, book designer, and type designer. His work has been honored numerous times, and his book designs have been selected more than thirty times for the AIGA “Fifty Books of the Year.” In 2015 he was presented with the 28th Goudy Award from RIT. Kelly has served as Chairman of the American Printing History Association, President of The Typophiles, and an active member of several committees at The Grolier Club.